Carlo Ancelotti broke the ice with the press this morning. His first three questions were about John Terry and Manchester City, yet Ancelotti and Peter Kenyon have rejected the idea that the Chelsea captain will leave, Carlo said “Football is not only money, salaries … it’s emotions, it’s passion. Many other things”, which translated from the broken English means City are not in the Champions League. Carlo came across as a witty, dry but serious man, he answered everything he was asked and made a favourable impression. Actually his English was fine, Journalists were asked to speak slowly and clearly and miraculously few chose the tried and tested British journalist’s trick of both shouting and patronising at the same time. Carlo only had to ask for help from his translator a couple of times. The most notable thing about his press conference however, was that it was nearly identical to Scolari’s unveiling exactly one year before, the pressures are the same – to control the dressing room with its difficult egos, wrest control of the Premiership from Alex Ferguson and, for god’s sake, win the European Cup. He did confirm that Yuri Zhirkov had signed from CSKA for about £18m, Yuri slipped into the country on Sunday night but we missed it because we were not on our toes. Medical and personal terms were completed today according to our new coach. So, the three we were expecting have signed, all the summer now holds is the name on the marquee. In the afternoon Ancelotti took his first training session, a gentle introduction to the hard work, new boys Daniel Sturridge and Ross Turnbull worked with the squad and Claudio Pizarro was back from Werder Bremen. The good news was that Joe Cole fit and training with a ball at his feet. Not everyone is back yet, those involved with June internationals have been given a few more days and the African boys will be back next week. Youth team fixtures are out and the reserves have announced a few friendly dates, as well as a tour of Austria between July19-27. If we win the lottery this week we’ll probably go. Meanwhile Yuri Zhirkov completed the formalities on a three-year deal Yuri it seems doesn’t speak a word of English. 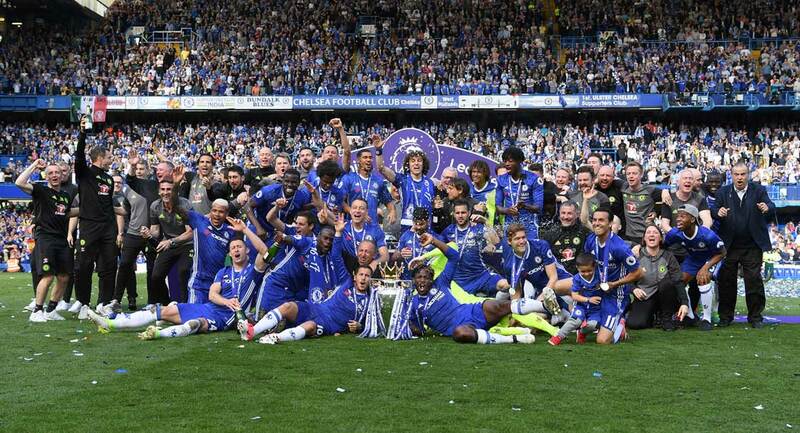 There is a rumour that Abramovich told him to learn to speak English three years ago but he ignored the advice. Bruce Buck was on Channel Chelsea explaining that there could be a few more signings this summer but he couldn’t be sure – Monday 31 August is a long way off. Ross Turnbull has been speaking about his move and seemed like he couldn’t stop pinching himself: “It’s just a privilege to be here and be a part of this, one of the best clubs in the world … when my agent called I did say to him: ‘Are you sure this isn’t a wind-up? 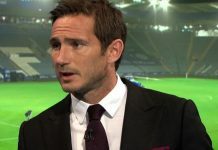 '” He also revealed that Christophe Lollichon’s dedicated interest in him knew few bounds: “Speaking to Chelsea, I was impressed at how much they actually knew about my career so far. Christophe had a say in it. He videoed the warm-up last season when we came down to Stamford Bridge and obviously looked at my technique then. It’s great to think that someone would do that, but he was obviously impressed with what he saw. For that, I’m grateful.” He also talked about pressing for a place in the team, which might be premature. Most only know Lollichon as a nail in Scolari’s coffin from last season but it seems he works hard for a living and has clearly been impressed by Turnbull. With Petr and Henrique Hilario in front of him between the posts he is being realistic, he reminded the press conference that he was still young at 24: “What I learn here at this club will stand me in good stead, whether that’s here or if I move on in years to come. This is a huge challenge for me, and I’ve not just come here to sit on the bench.” Turnbull comes across as a very mature prospect. Meanwhile Sky have shifted things around for the first few months and guess what – we are on first with a 12.45 kick-off against Hull. The trip to the Cottage eight days later will also be covered. Today it was Daniel Sturridge’s turn to be ignored by hacks only interested in asking about John Terry and City. It is difficult for simple creatures like journalists to understand why a player would want to turn down the chance to play for a side a prestigious as Manchester City. JT has not made a public statement to quash rumours of a move. Daniel for his part does not lack ambition, nephew of former Derby County striker Dean, said: “I am only motivated by doing things in the game, by winning trophies and becoming a great player in football history”. If, in twenty years from now, you can negotiate your way through a Central American police roadblock by mentioning Daniel Sturridge he will have succeeded: it works with Archie Gemmill but policemen and paramilitary hitmen are getting younger ad younger these days. Great players are few and far between but you can’t fault his attitude. Meanwhile Jimmy Smith joined Leyton Orient on a free transfer. Jimmy has hand several loan appointments during his time here and he needed a new club. Morten Nielsen also moved on this month. Frank Arnesen has cemented his power as the club appoint him sporting director. What the new role involves is anyone’s guess but officially it will be: “co-ordination of first team activity and supporting the first team manager”. His role with the youth and reserve team will be unchanged. Frank cost so much money to poach from Tottenham that we have to make the best of him but the press have regularly cited problems with his relationship with managers and predicted that he I about to go. JT and City fill the weekend’s gossip columns; we’ll see. Zlatan Ibrahimovic from Inter for Deco, Carvalho and £50m is the other astonishing rumour. Zlatan would have to get used to playing out on the right if Drogba continue up front, he won’t mind.